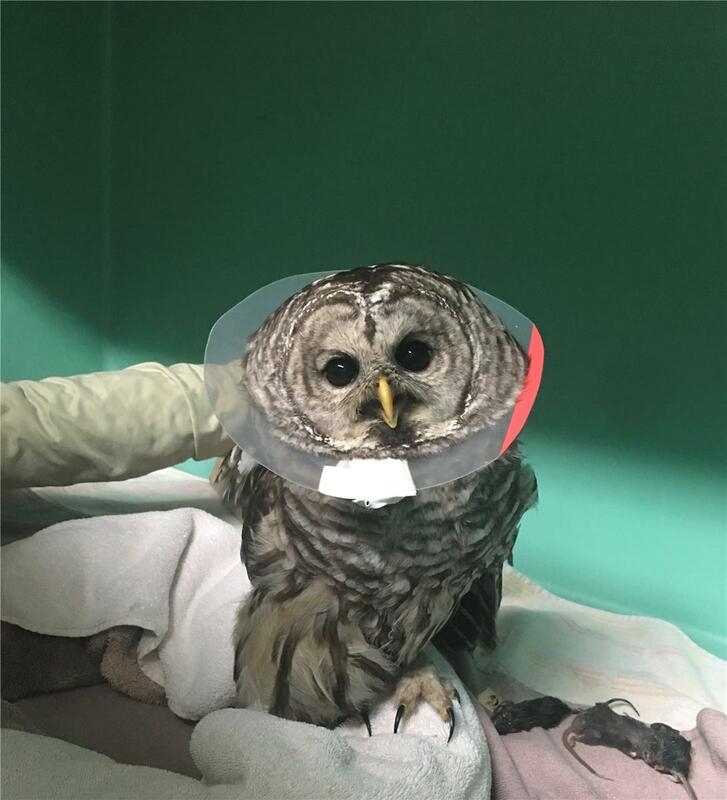 This owl arrived today (11/26) with a fractured femur. Thank you to our consulting vet, Dr. Lesley Kovar, for coming in late tonight to surgically pin her leg. Your #GivingTuesday donations help patients like her! Please donate today and help us reach our goal. Status: Sadly, she had to be euthanized in care. Her leg would not heal correctly despite the surgery and the injury became irreparable.